As loyal m.blog readers would know from this post, the wonders of modern technology have made it possible for us to taunt our enemies (or congratulate our friends) via anonymous tubers. Come to find out, fruit also wants a piece of the smack-talking spotlight. 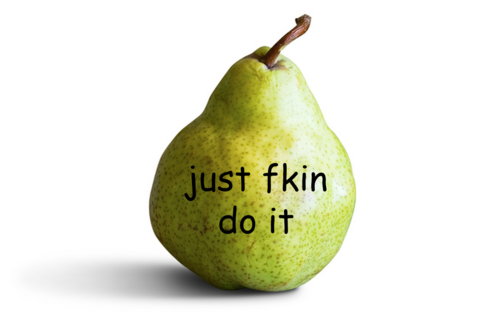 Introducing the perfectly punny Pear Pressure, a site that – you guessed it! – allows you to one-up the passive aggressive colleagues/roomies/frenemies in your life by sending them pears that don’t mince words. Caption: Because dropping $10.00 is the truly badass move. Clearly. Caption: We all know Denise. We have all been Denise. Sorry, shouldn’t drop reality bombs so early in the morning. Thankfully, these are pears, not potatoes, and per Mary Poppins, the maybe-not-quite-spoonful of sugar in them should help the medicine go down.